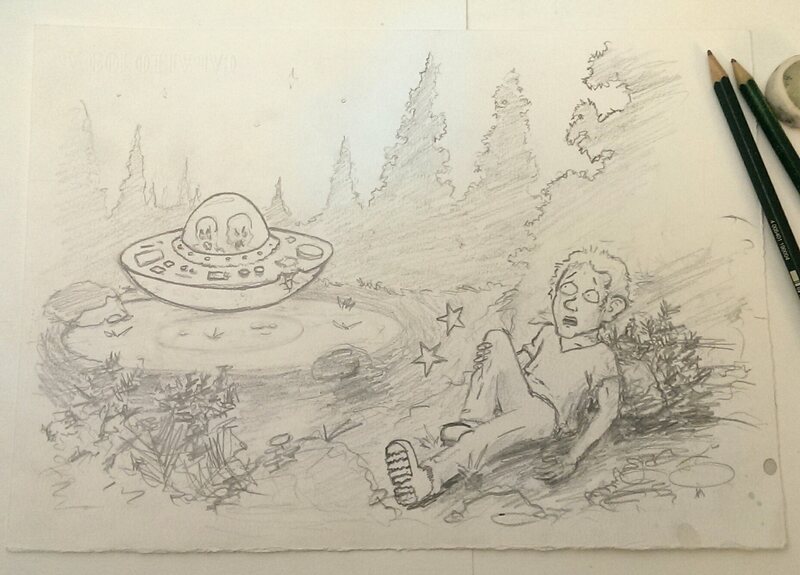 My post UFO Roadkill is based on an idea I had for a comic during my years as a caveman, created in the light of candles as all my stuff was back then. The comic never became anything more than a storyboard, but I still wanted to make something out of the idea. From cave art to blog post, who would have guessed. The story is a mental experiment on the way we humans tend to think animals are better off dead than hurt. Sometimes I guess it’s true, but still, many people have a very low limit to killing animals out of mercy. Biologically they are quite similar to us, and wounds do heal. So I turned the roles a bit, and made the animal human and the driver alien, just to see how it feels if we were the ones to be sacrificed. It turned out to be quite terrifying.